AKIPRESS.COM - Ministries of Foreign Affairs of Mongolia and Cuba had the third consultations in Havana on January 18-19, Monstame reports. The meeting was co-chaired by D.Davaasuren, State Secretary of the Ministry of Foreign Affairs of Mongolia, and Marcelino Medina, first Vice Minister of Foreign Affairs of Cuba. Mr. Davaasuren held a meeting with Mr. Fernando Bermudez, first Deputy Minister of Science, Technology and Environment and discussed about launching cooperation between scientific, technological and research institutes. Furthermore, they signed a Memorandum of Understanding between the Ministry of Environment and Tourism of Mongolia and the Ministry of Science, Technology and Environment of the Republic of Cuba for cooperation in conservation. Moreover, the State Secretary got familiarized with activities of the Diplomatic Academy and the Center for Genetic Engineering and Biotechnology which is leading in the world with its production of pharmaceuticals and vaccines and exchanged views on bilateral cooperation. 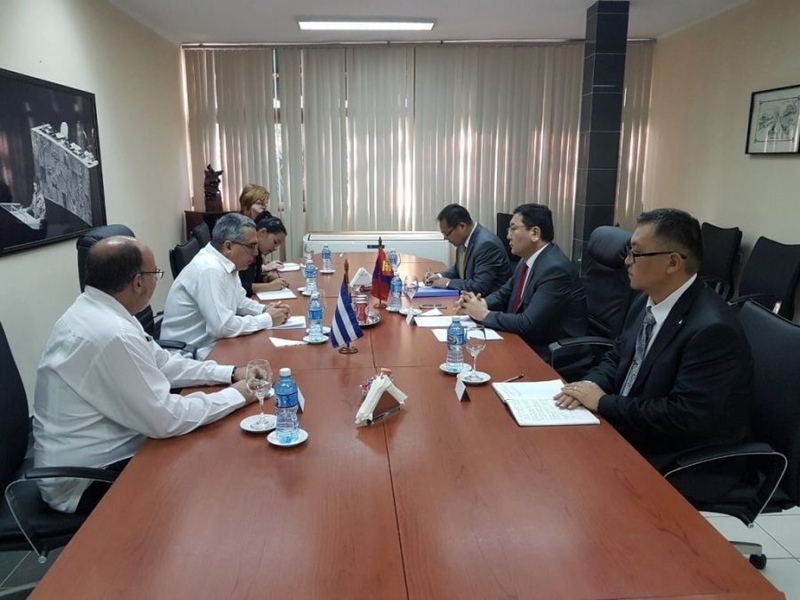 The Cuban side proposed to cooperate with Mongolia in health and biotechnological sectors, especially in the fields of treatment of diabetes, prevention of heart attack, elimination of hepatitis B and Delta viruses and the supply of vaccines against bovine foot-and-mouth disease and parasites.